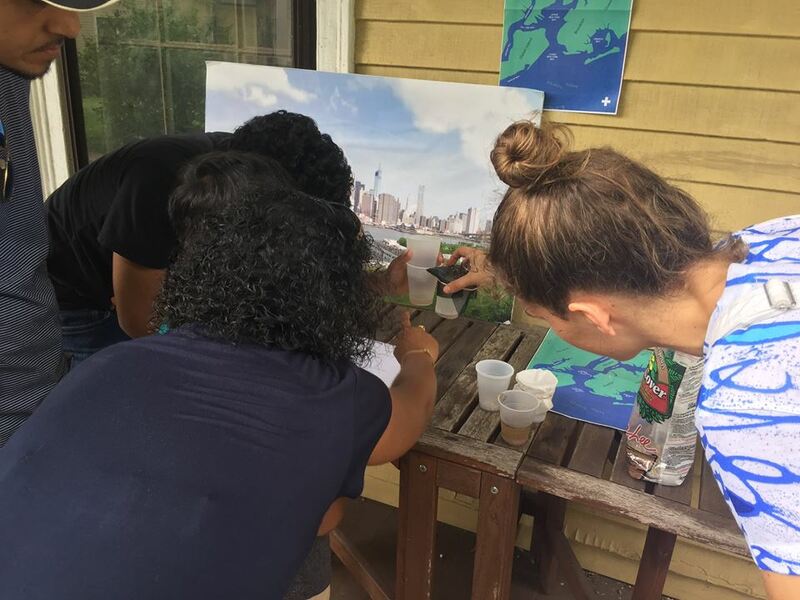 We spent the day on Governor’s Island hanging out with our friends at Swale and sharing a water quality experiment with families. It was so fun, we might just do it again. 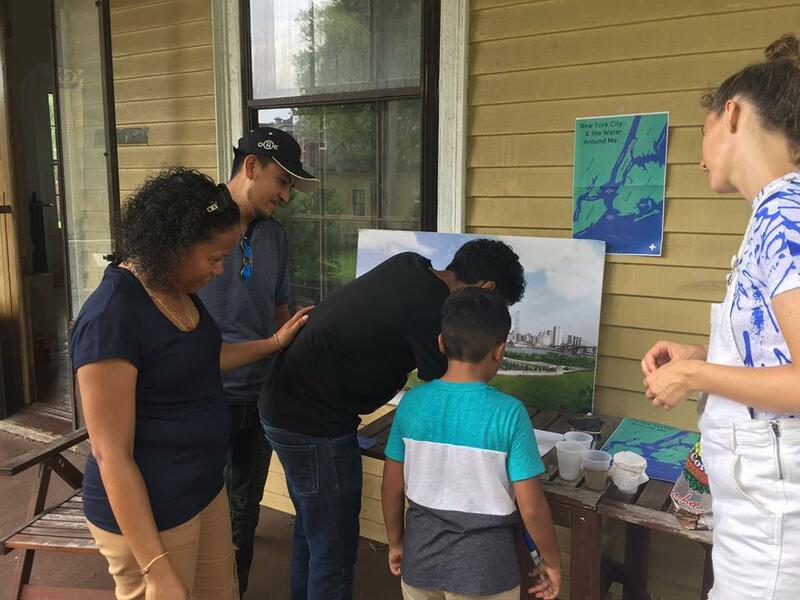 Swale has a three-year residency on Governor’s Island to share their floating food forest project, create a community garden and host exhibitions and workshops, like the one we hosted. 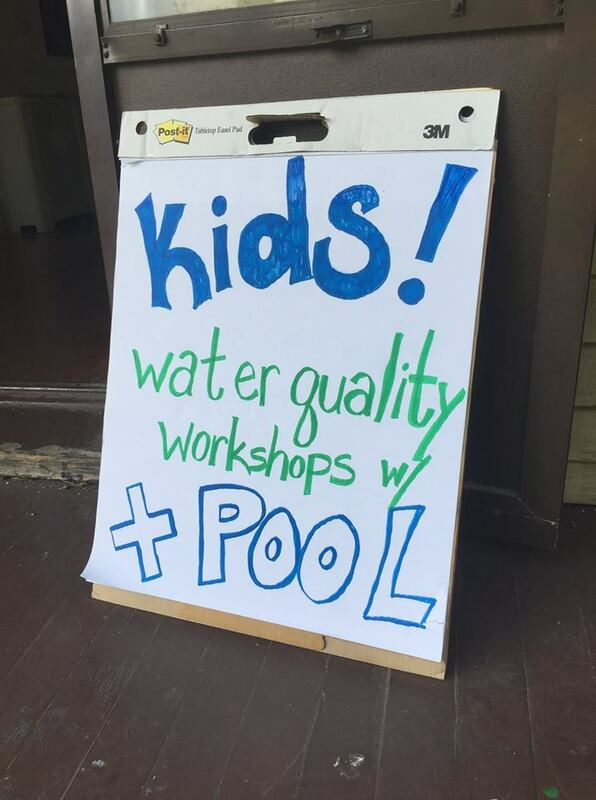 We took a page out of our STEM + POOL classroom curriculum designed for students that uses the science, technology, engineering, and mathematics of + POOL to teach kids about water quality. 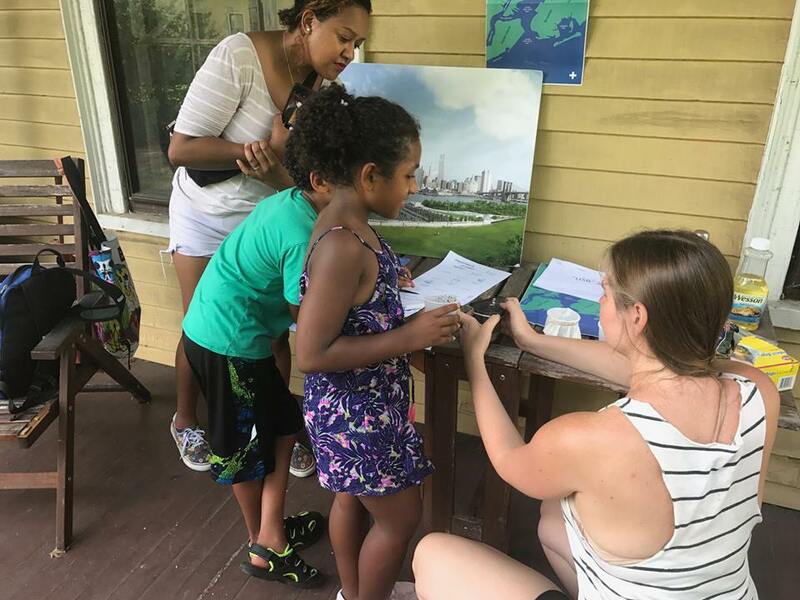 The families who came by tested three different kinds of filters to see how different “pollutants” (like oil, paper and glitter!) could be removed using different kinds of filters — one paper, one screen, and one gravel. 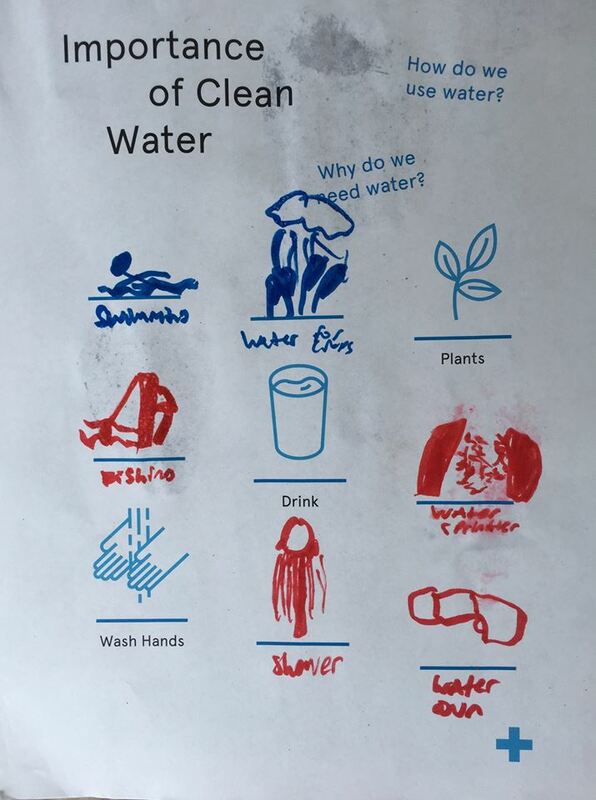 We event let them “pollute” their own water, but of course used it as an opportunity to talk about different things that pollute our water and earth and why its never a good idea. Everyone made their own hypothesis and at least one dad was VERY surprised with the results. “Wow! !” he said. Once we saw how each filter acted independently, we put them all together (kinda like how + POOL’s filter is designed) to see how the filters work as a team to combat that glitter. Of course + POOL’s filter is much more robust than a few coffee filters and screens, but the concept is just as simple. We set up shop at a variety of events and science fairs throughout the City. Check out what’s next here!